There's clear user demand for contactless payments, but over 97% of US retailers don't have the POS equipment needed to accept them. It's a game of chicken and egg at the moment: businesses aren't willing to invest until they see mainstream consumer adoption and consumers aren't willing to make a purchase decision based on a feature that only works in 3% of retailers. Apple is the key to ending this standoff. With such a loyal user base at their disposal, Apple can drive penetration of a feature like contactless payments through brute force simply by releasing a new handset and waiting for their customers to upgrade, as the company has done with the iPhone 6. Cupertino's historical sales figures (and indeed Apple's recently revealed Q3 numbers) are more than enough to send a clear message to retailers that people, in their millions, will start demanding that contactless payments get accepted. The fact that Apple isn't charging either consumers or merchants for transactions is also certainly going to reduce barriers to adoption on both sides. From a security perspective, the sentiment around Apple Pay is positive, and rightly so. Card payments, especially in the US, are completely broken. Even in 2014, it's the norm for cards to be handed back to customers before they've even signed the receipt. It's so farcical that my brother had a great deal of fun, when he lived in New York, leaving a different signature for every purchase. He would just scribble, or simply write the word of the thing he was buying, e.g. "dinner". Compared to this, the combination of Touch ID and the sci-fi sounding 'Secure Element' would have to be actively trying to broadcast your card details to random strangers to fail to be a step up. I think that this has been recognised by the card companies. Visa and MasterCard, which represent almost 90% of all card transactions today, have already been brought onboard into Apple Pay. If consumers and merchants aren't being charged for the service, that leaves little room to imagine who else might be footing the bill, so they must have a significant motivation for entering into this partnership. Further to impacting their per transaction margins, they're also embarking on a very dangerous journey, strategically. These are businesses that spend millions of dollars every year on building their brands through advertising and loyalty programmes, and yet have agreed to take a major step back, allowing Apple to own the transaction as far as the user experience is concerned. On the flipside, MasterCard's own research has shown them that people spend almost 30% more in a year, on average, when they have access to contactless payment technology. In the highest spending segment 'this lift translates into approximately $600 per month in incremental spend'. I assume that people's ability to pay off their debt doesn't scale to the same degree and my guess is that this is the heart of the card companies' motivations. More unpaid debt is more than enough to make up for any fees they'll be paying Apple. The thing is, Apple is in the business of creating products with planned obsolescence. That's sort of how their business brain works. 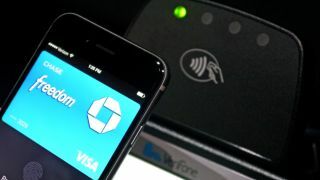 Do you think Visa and MasterCard have asked themselves which part of Apple Pay could soon become obsolete? What's to stop Apple going one step further and processing payments itself? Ramzi Yakob is senior strategist at digital agency, TH_NK.